Jeremy Goldsher says Greenspace CoWork melds modern amenities with a distinctly Greenfield vibe. Co-working spaces — hives of business where members share office space — have taken root in many Western Mass. communities over the past several years, for a number of reasons, from the efficiency of sharing resources to opportunities to network and be inspired by other professionals. 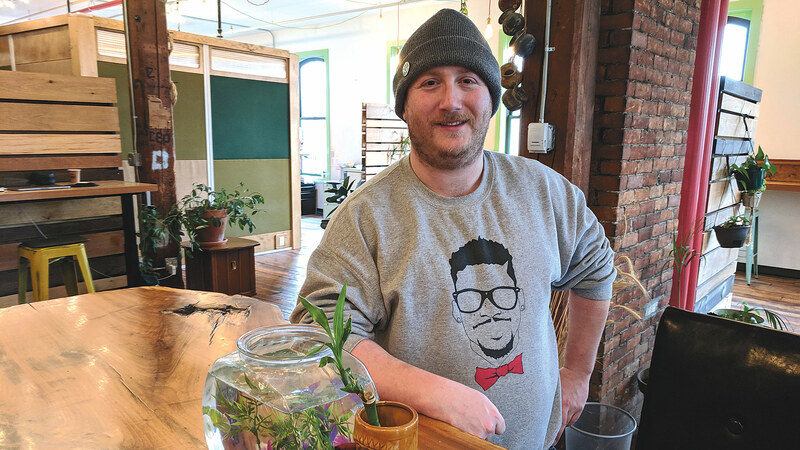 In the past year and a half, two have cropped up a block apart in downtown Greenfield, with different types of clientele but the same goal: to help enterprises develop and grow, and have fun doing it. The way people work has changed dramatically since the last century, Jeremy Goldsher says — and so has where people work. But why not just work from home, as so many companies encourage their employees to do? To Goldsher — and others who believe in the value of co-working spaces — it’s about culture, energy, and especially connection. That’s why more people are taking advantage of the co-work model. In some cases, he said, they’ve moved to Greenfield specifically because co-working was an option. 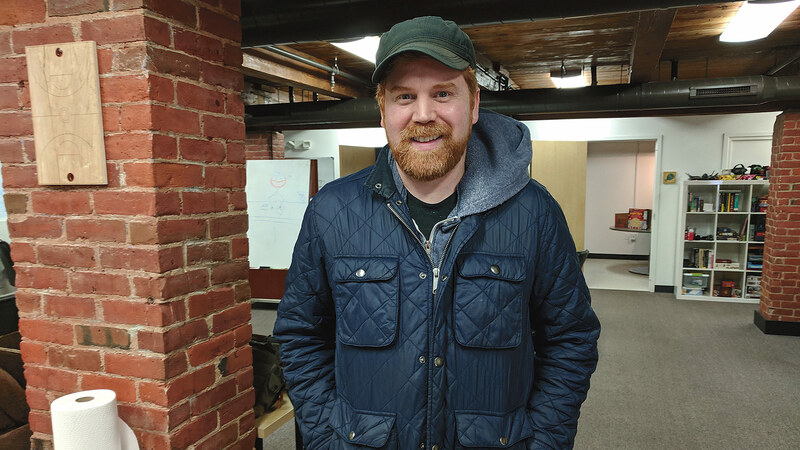 A block away in downtown Greenfield, Pat King, executive director of Another Castle, told BusinessWest that he and Paul Hake, CEO of HitPoint Studios, opened their co-working space, which caters to video-game developers and designers, a little over a year ago after the pair recognized its potential. Pat King says Another Castle helps bring together the region’s large and far-flung game-design community through a number of programs. King worked with Hake for many years, both with HitPoint and its precedessor, Paul Hake Productions, before striking out on his own about four years ago. 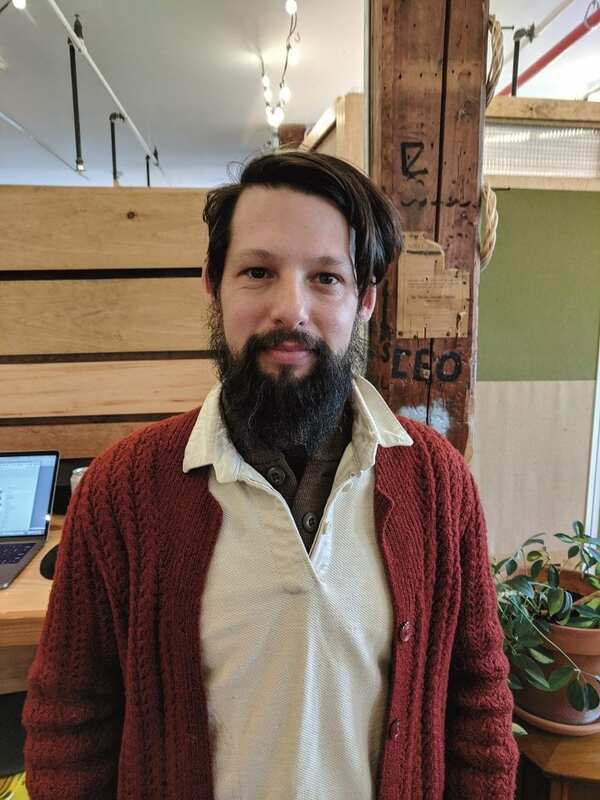 During that time, he started a group called Pioneer Valley Game Developers, a networking community that now boasts about 300 members, many of whom gather for monthly meetups and events. King started talking with Hake about the potential of a co-working space specifically geared for this crowd, especially considering that many are small and solo outfits that could benefit from the networking and shared resources Another Castle offers. Michael Crigler found, in Greenspace CoWork, an ideal spot for his digital marketing agency, Bueno Social. With just four members now — HitPoint is the anchor tenant, with about 12 employees — Another Castle has plenty of room to grow, despite the specific challenges of this niche-specific model (more on that later). But King, like Goldsher, is excited about the way the co-working environment encourages professionals to come together in the heart of Greenfield, rather than working alone. Four years ago, Goldsher’s family bought the four-story building on the corner of Main Street and Court Square out of bankruptcy and rebranded it the Hawks & Reed building, after a former clothing store on Main Street. They have since brought new life — and many more events — to the arts and music space on the first floor, while Goldsher and Sauser worked to develop Greenspace CoWork on the upper floors. The two met at a Franklin County Community Development Corp. event and were soon talking about the co-work concept, which Goldsher had seen flourishing while living in New York City. His biggest challenge right now is building out more space in a building that could eventually house about 150 workers — although, like all co-work spaces, they’re typically not there all at once. About 30 individuals and companies call Greenspace home right now. Open 24/7, the facility has two secured entrances, and one of its conference rooms has access directly from the street without having to walk through the rest of the co-working space, which appeals to lawyers who meet with clients there. Michael Crigler, who heads up digital marketing agency Bueno Social, is one of the original Greenspace clients, and is currently working with Goldsher to create a new logo and branding and redo its website. When he heard about Greenspace, he was immediately intrigued. Members are attracted to co-working for a number of reasons, Goldsher said, among them lower prices than traditional office rent, flexible leases, and shared resources ranging from a printer, projector, conference rooms, and wi-fi to a kitchen with free tea and coffee. Members range from stay-at-home fathers who show up in the wee hours to get some work done in a professional setting to Australis Aquaculture, an international fish-farming operation headquartered in Vietnam. When its fish farm in Turners Falls was shuttered and the farming operations consolidated overseas, the company needed a place to house eight employees who focus on sales and distribution to large food retailers in the U.S.
Goldsher said it was beyond his expectations to have a company of that size as a member, but at the same time, it makes sense. It’s happening at Another Castle as well, though perhaps at a different pace. Besides the 10 HitPoint staffers who work there, Vermont Digital Arts utilizes the space, while the rest of the current members include a 3D artist, a software engineer, and an electrical engineer. 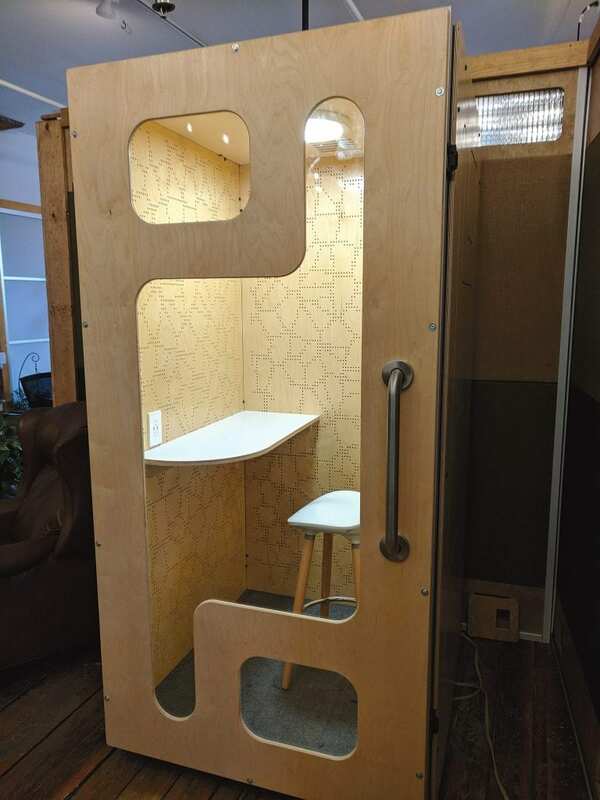 Greenspace CoWork’s private, soundproof phone booths were designed and built in house. “It’s a slightly different beast than a general co-working space,” King said, noting that only about half the game developers and designers in the region are making money in this field, making it difficult to afford even the reasonable rates co-work spaces charge. That’s why he and Hake are exploring the possibility of adding incubator space at even lower cost, to attract more startups who might benefit from the synergies, guidance, and networking opportunities available, as well as the 24/7 access and shared resources — not just the wi-fi, conference rooms, and flexible membership plans common to most co-working spaces, but a wide array of cutting-edge computer hardware to be used for testing, playing, or just for being productive. And the events, too. Another Castle often serves as a community space for events like last month’s Global Game Jam, which drew about 50 participants who designed games for a frenzied 48 hours, producing 15 games by the end of the weekend. Greenspace CoWork hosts community meetings as well, Goldsher said, just another way he hopes the venture connects professionals to the city and region around them. 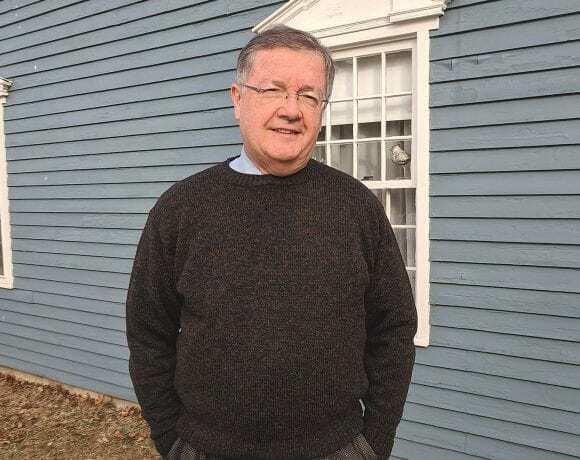 “We want our members to be able to accomplish what they would in a corporate setting, but we also want them to go out into the community and enjoy all the resources and the natural beauty here,” he told BusinessWest, noting that he dreamed of something resembling a co-working environment when he was a kid, even though he had no idea they actually existed, or what they were called.